Indian markets remained highly volatile during the day on the back of weak global cues. The Sensex was up 15 points from the previous day’s close, ending the day at 17,701, while the Nifty closed at 5,282, up four points. Yesterday we had said that the bourses would open higher but would not sustain gains throughout the day and so was the case. The market may be under pressure tomorrow, but there is a lot of buying interest as global markets are swinging both ways. During the day, Larsen & Toubro announced that the company’s buildings & factories operating company—part of its construction division—had bagged new orders aggregating Rs2,325 crore during the third quarter of fiscal year 2009-10 for the construction of residential towers, hospitals, exhibition centres, IT parks and factory building projects. The stock was down 1%. PSL rose 3%, after the company said that it had recently bagged fresh orders aggregating Rs425 crore for supply of pipes. Sunil Hitech Engineers rose 2% after the company received an order worth Rs488 crore from Maharashtra State Power Generation Company. Raj Television Network rose 1% on reports that the company had acquired the exclusive distribution rights of upcoming Tamil movie ‘Kutty’, for some specified areas in Tamil Nadu. Steel Strips Wheels Ltd said that BMW had nominated the company for the supply of spare wheels for its prestigious MINI model. The stock shot up 5%. Ruchi Soya rose 6% after the board of directors of the company approved investment in equity share capital of Gemini Edibles and Fats India Pvt Ltd, engaged in the business of refining edible oil. According to an HSBC survey, business activity among Indian services companies expanded at its fastest pace in 15 months in December 2009 and helped create more jobs, but the outlook for 2010 is wary. The HSBC Markit Business Activity Index, based on a survey of 400 firms, rose to 57.41 in December, its highest since September 2008, after slowing to 55.20 in November. However, the business expectations sub-index slowed for a second straight month to 65.56 in December, to its lowest level in 10 months. It stood at 71.58 in November. The degree of positive sentiment fell sharply since November, as a greater proportion of companies reported that they expect activity in 12 months’ time to be broadly similar to current levels, HSBC Markit said in its report. During the day, Asia’s key benchmark indices in Hong Kong, Japan, South Korea, Singapore and Taiwan rose by between 0.15%-1.42%, whereas the Chinese index remained flat. A monthly survey released by HSBC indicated improvement in China’s services sector, with December business activity rising at the fastest pace in three months. HSBC said that its China Services Purchasing Manager’s Index rose to 57.2 for the month, up from 57.1 in November 2009. On Tuesday, 5 November 2009, the Dow Jones Industrial Average declined 12 points while the S&P 500 and the Nasdaq Composite were up four points and 0.29 points respectively. A big decline in pending home sales, which fell in November for the first time in nine months, increased concerns over the housing market. As per US media reports, pending home sales tumbled 16% in November 2009, much steeper than the 5% drop expected and the 3.7% gain logged in October 2009. But factory orders rose 1.1% in November, more than double of what was expected. In premarket trading, the Dow was trading 34 points lower. Personal computer magazine PC World has said that it has stopped publication of its India print edition, ceding ground to other computer magazines like CHIP and Digit. PC World said that there is a greater demand for “faster information” from its readers, which it was unable to meet through the magazine, published on a monthly basis. Another factor behind the magazine’s decision was that broadband and new economic ‘unlimited plans’ had diminished the need to provide software on disks with readers now choosing to download the software of their choice, PC World added. PC World has been facing stiff competition from other magazines like CHIP, published in India by Infomedia 18 Ltd and Digit published by Nine Dot Nine Mediaworx Pvt Ltd. CHIP is one of Germany's oldest and largest computer magazines with 4,18,019 copies sold per month. In India, CHIP touched a circulation of around 1,20,000. Digit, on the other hand, was launched by Jasubhai Digital Media, which used to publish CHIP under a licensing agreement with Vogel-Veriag of Germany. In 2007, Digit was acquired by Nine Dot Nine Media. Both CHIP and Digit provide two dual-layered DVDs that include freeware and demo-software and a booklet with their monthly issues. However, PC World was constrained with only one dual-layered DVD and it was not issuing a separate booklet. This may have led to PC World subscribers migrating to other magazines. The publisher maintained that it still intended be titled as the “most trusted source of technology advice”, and would update readers with local relevant content. Subscribers would receive a refund of the remainder of their subscription amount for the print magazine, PC World said, adding that the new website is built in a manner that “maximises” the information for the reader. Owned by International Data Group (IDG), PC World publishes its magazine in around 51 countries. Its India edition was launched in July 2006. The parent IDG publishes over 300 magazines in 85 countries including titles like Computerworld, InfoWorld, CIO, Macworld, Network World, and PC World. i subscribed for the printed version and paid rs.4339 through internet. now what shall i do to get back my amount? Could you please send me PC world magzine. A want to give an article in your maazine. Where should i contact? One of India’s largest mutual fund distributors, ICICIdirect, on Wednesday announced the launch of an online platform for the exclusive benefit of independent financial advisors (IFAs), in a bid to bring down its costs associated with servicing customers. This could be an ambitious move to give rival platforms a run for their money. iFAST Financial was the first company to come out with an online transacting platform for IFAs. 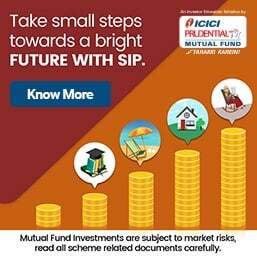 Recently, Computer Age Management Services (CAMS) and Karvy Computershare (KCPL), the two largest service providers of the mutual fund industry, joined hands to launch ‘FINNET’, which facilitates transacting, execution and customer service on an integrated system. As these are essentially similar product offerings, ICICIdirect will have to play catch-up with its competitors. After recent regulatory changes in the mutual fund industry, IFAs have been largely left fending for themselves. Post the ban on entry loads, they are struggling to ensure a steady stream of income, with customers expecting better quality advice in return for upfront commissions. Also, with costs not coming down in line with business volumes, IFAs are in dire need of a revamped business model. An interesting factor is ICICIdirect getting IFAs to eventually fall in line and come into their business fold, taking advantage of their reach in the market. ICICIdirect, with close to two million customers, is itself a big player in the financial product distribution space. 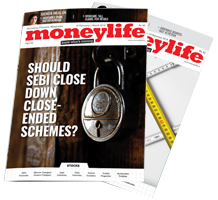 Given the fact that IFAs have their own client database, their involvement with ICICIdirect could pose a conflict of interest. However, the company officials claim otherwise. ICICIdirect claims that this platform will create a ‘win-win-win situation’ for all the parties concerned, namely, the advisors, customers and ICICIdirect itself. Deeper penetration, reduced costs and the ICICI brand association will benefit the advisors while customers will get access to quality advice. ICICIdirect would also stand to benefit from the increased revenues as they steadily go about bringing thousands of IFAs into their fold. For this service, ICICIdirect proposes to adopt a revenue-sharing model with nominal fees for IFAs to get themselves enrolled in the ICICIdirect platform. ICICIdirect will pass on the upfront commissions to the IFAs as per the terms of the agreement. However, IFAs would have to follow the charge structure as proposed by ICICIdirect. it is a good platform to us and should be appreciated by all of us. kindly forward the detailed information and demonstration to us. it is definitely going to reduce the cost for ifa. AMFI should come out with platforms which covers all Mutual Fund Schemes. All AMCs can contribute to the maintenance of the Platforms. It would reduce the cost of the individual investors and also the AMCs.